GOKPOP | Exclusive K-News in Malaysia & Singapore: SMTOWN LIVE World Tour VI is heading to Dubai this coming April! 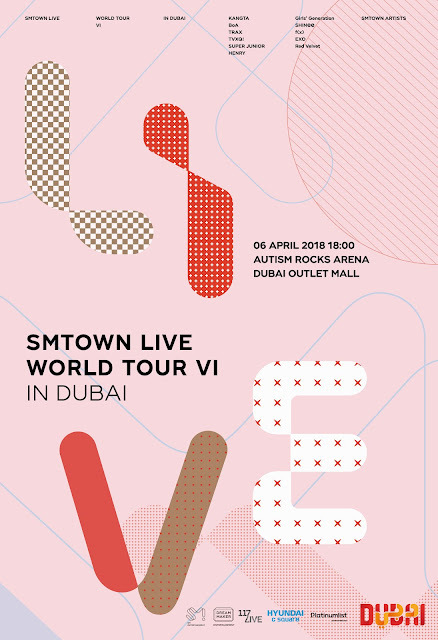 SMTOWN LIVE World Tour VI is heading to Dubai this coming April! SMTOWN LIVE WORLD TOUR VI in DUBAI will perform at Dubai Autism Rocks for approximately 4 hours from 6 pm on April 6. The performances will include 35 of SM's superstars such as Kangta, BoA, TVXQ!, Super Junior, Girls' Generation, SHINee, EXO, Red Velvet, TRAX, and Henry. To buy tickets before they go on sale to the general public please register your information in the below link: https://117live.com/smt-dxb/. Tags: BoA, Dubai, EXO, Girls' Generation, Henry, Kangta, News, red velvet, SHINee, SMTOWN, SMTOWN in Dubai, SMTOWN LIVE World Tour VI, Super Junior, TRAX, TVXQ!